The official website for Blackpool Sands a beautiful beach in the South Hams with Venus Organic Cafe, Venus Shop and toilet facilities & showers. Also you can surf ski, kayak, boogie board, wet suit and snorkel hire. On top of being an extremely picturesque and 2 mile long dog friendly beach, Slapton Sands plays an important part in the survival of some of the UK’s rarest flora and fauna. Gara Rock beach is very beautiful and fairly gentle 10 minute walk gets you to this large sandy beach. This is a southwest facing beach between East Portlemouth and East Prawle. The path is steep in places so it is best for families that do not need to carry too many belongings! Incredibly picturesque with golden sand and uninterrupted views out to sea. Can be accessed by boat. Climbing over rocks at the west of the beach there is another small sandy beach. Nearest facilities are at the Gara Rock Hotel and Restaurant a little walk away. Banthan Beach / Bigbury Bay in the South Hams at the mouth of the little known river Avon, Bantham beach is one of Devon’s premier beaches. Within easy driving distance of Salcombe and Kingsbridge, Bantham beach is situated in a designated AONB, it offers beautiful scenery with panoramic views over Bigbury Bay and the famous Burgh Island. Bigbury Bay itself is a shallow sandy bay, which makes Bantham an ideal beach for swimming and paddling for all the family. Owing to the natural topography of the bay, Bantham also has a reputation as one of the best surf beaches in Devon. East Portlemouth is actually made up of a number of small beaches - Fishermans Cove, Smalls Cove and Mill Bay - so you can hunt down your very own secluded spot. All the beaches have won Safe Bathing status so if you bring the children then you know that the water is shallow, clean and safe for paddling and splashing around. At low tide you’ll find loads of shallow rock pools. Home to Roman Catholic Community and Benedictine Monks. The last castle to be built in England, set above the Teign Gorge with dramatic views over Dartmoor by the architect Edwin Lutyens. This is a National Trust property. Agatha Christie’s holiday home nestled on the bank of the River Dart, in a stunning location. Exeter Cathedral is an Anglican cathedral, and the seat of the Bishop of Exeter, in the city of Exeter, Devon in South West England. It is one of the great cathedrals of England, and one of the finest examples of Gothic architecture anywhere. Slapton Ley Centre is 8 minutes drive away and a 200 hectare National Nature Reserve. Owned by the Whitley Wildlife Trust and managed by the Centre, the Ley is the largest freshwater lake in the south west and is extensively used in the courses at Slapton. The surrounding coastline and nearby Dartmoor National Park provides unrivalled opportunities for field courses. The National Marine Aquarium was the first aquarium in the United Kingdom to be set up solely for the purpose of education, conservation and research. It remains Britain's foremost aquarium and attracts 300,000 people per year. Pennywell Farm in Buckfastleigh is a multi award winning farm activity park and the biggest in the South West. A Butterfly Farm and Otter Sanctuary situated just off the A38 at Buckfastleigh. A great family day at Crealy Adventure Parks in Devon and Cornwall. The Dartington Cider Press Centre, a unique visitor centre with fifteen shops, eating places and workshops set in a village atmosphere. They offer a collection of fine foods, glass, traditional crafts, jewellery, pottery, books, toys, stationery, wood turning, gifts, kitchenware, world crafts, plants and two restaurants including Cranks. Paignton Zoo is home to thousands of amazing animals and plants. Heritage steam Railway between Buckfastleigh and Totnes in South Devon, running beside the fast flowing river Dart. The Totnes rare breeds centre has holdings of rare breeds of sheep and goats and these are supplemented with a selection of owls, poultry, ducks, doves and domesticated animals. There hope is to increase the awareness of the importance of maintaining rare breeds and biodiversity. This nationally known coastal course, has a well deserved reputation for excellence and will provide both the lower and higher handicap golfers with a stern, yet enjoyable test of golf. It offers 18 Holes and 6,340 yards with beautiful views, including Burgh Island and over to Bigbury Bay. One of Devon's premier golf courses & leisure resorts, situated close to the historical town of Dartmouth. Bigury Golf Course is a par 70 surrounded by stunning views in all directions. Dartmoor to the north, Bantham, Bigbury-On-Sea and Burgh Island to the south, farmland and the Avon Estuary to the east and the south coast of Devon and Cornwall to the west. Salcombe Dinghy Sailing operates from Whitestrand in the centre of Salcombe and our boats are on moorings nearby. You can hire one of their boats if you have suitable experience or they can offer high quality professional sailing tuition. Salcombe Powerboat School has built its reputation on safety and quality. Their instructors are highly qualified and have excellent knowledge of the local waters. Kayak rental, coaching and tours based in Salcombe on South Sands which has showers and a cafe. The Tradesman's Arms is 14th Century, part-thatched pub and restaurant, with beams, log-burning fires in the village of Stokenham South Devon. The Tradesman's Arms serves good food real ales, local ciders etc. A favourite with our guests in 2010. The Cricket Inn first opened its doors in 1867 and is located within the small fishing village of Beesands nestled within the idyllic South Hams countryside overlooking the peaceful gently sloping shingle beach of Start Bay on one of the most southerly points of the UK. A welcome gathering place for both tourists and local residents alike all year round. Serving traditional ales, spirits and a varied selection of white and red wines along with a reputation for great food including fresh fish, seafood, and meat. The Crabshell Inn in Kingsbridge is situated on the quayside and with its south westerly aspect basks in the sun all day. The Crabshell is gaining a reputation as an eatery an acclaimed menu. The Inn is “child friendly” and children of all ages are very welcome. There is an abundance of high chairs and a popular childrens’ menu. The Queen Anne Restaurant at Buckland Tout Saints is well regarded in the area and is situated in a William & Mary Manor House boasting 2 AA Rosettes. The restaurant is situated less than 10 minutes drive from Kingfisher Cottage and has stunning Russian pine panelling. The Riverford Field Kitchen opened in 2005 and was the first of its kind in the country, and uses fresh organic ingredients straight from the farm. Visitors who have been on a tour or walk around the farm, experience imaginatively prepared by Jane Baxter and her team. Jane previously worked at the Carved Angel and The River Café in London. You need to book an appointment before arriving. 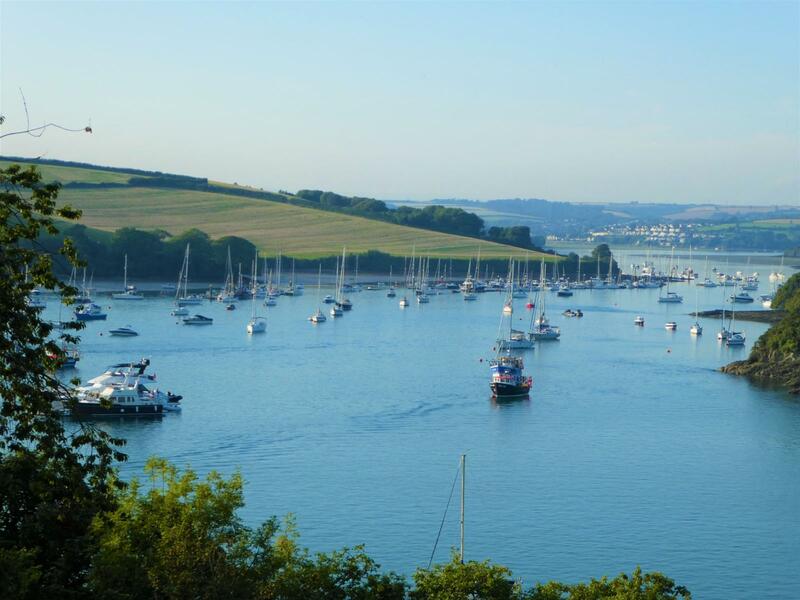 Treat yourself to a Luxury Spa treatment or day in Salcombe with amazing views. Offering complete calmness and a range of superb health and beauty treatments, the Thurlestone Hotel has one of the best spas in South Devon.